​Wolves manager Nuno Espirito Santo has given credit to the sense of character his small squad possesses, one that has carried them to impressive feats so far in their first season back in the Premier League. With star men such as Raúl Jiménez, Diogo Jota and Morgan Gibbs-White making names for themselves each week, the players' faith in each other is what Santo views as pivotal to their success. 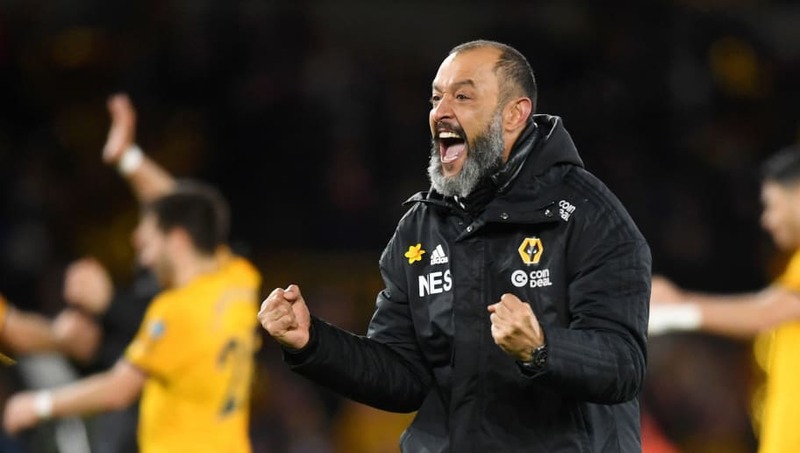 After an impressive run of form following the Christmas break, including victories over Liverpool and Everton, Wolves have managed to climb up the table and Nuno has made clear why squad depth is not an issue for them. As reported on Wolves' official website on what he feels is integral to this growing success, he said: “If you know each other better outside of the pitch, when you are inside of the competition, their relationship it’s easier. “It began from last season, but it’s a growing process that started a long time ago. We started with a small squad, now we have an even smaller squad." Having used the fewest amount of players of any team in the Premier League, Nuno says his team now possess a sense of unity that helps them play with togetherness, despite having a small group of players to work with. He added: "It’s our philosophy, it’s our idea of having a strong and compact squad that allows us to make good decisions. “Even if they don’t play, they are still involved in the competition, so that makes it easier when the player steps into the team, they know their task and what they have to do inside the dynamic of the team." Wolves face Burnley in the Premier League on Saturday as they look for another three points to help build on an impressive season.